Imagine yourself…toes in the sand, a warm summer’s breeze on your back, the sound of the ocean in the distance – this is the epitome of Hampton style. It’s about mixing clean, fresh hues with rustic outdoor elements, and surprisingly with wallpaper it’s not that hard to achieve! Hampton style originates from the popular seaside vacation destination along Eastern Long Island in New York and tends to embody both a classic and contemporary décor style offset by natural and rustic influences. Colors tend to include both fresh and neutral tones that work to open up your homes interior to a light and airy feeling throughout. This makes linen décor and upholstery a popular choice both for its natural and casual look as well as its effortless appeal. By starting with a neutral, linen textured wallpaper as seen from above, the stage is already set to create that perfect Hampton style getaway. By adding some imperfect touches such as driftwood accents or natural details that may include plants, shells or sea glass displayed in a jar, you have created the perfect combination of classic style meets rustic tranquility. 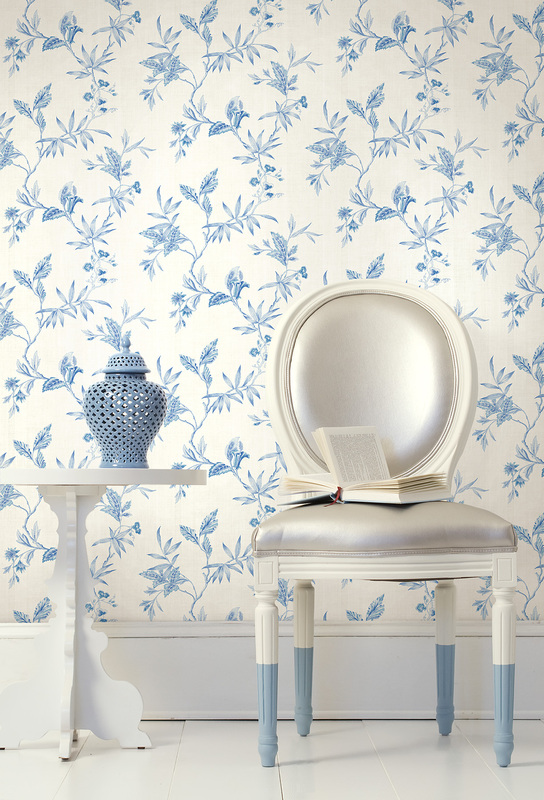 Adding a pop of light blue to décor is another way to achieve that breezy and serene vibe that seems to follow Hampton style. White and blue combos tend to bring ocean elements to the forefront with hues that remind of us glistening blue skies or the rippling enchantment of the ocean. 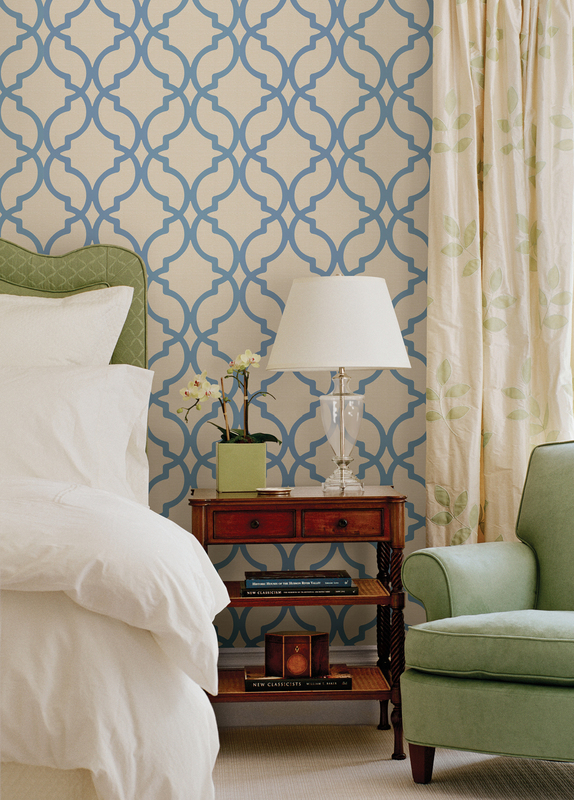 Whether you favor a Moroccan Trellis design or an elegant swirling Damask, each of these patterns bring Hampton inspired detail to a space created from this fresh and relaxing blend of light and natural tones. 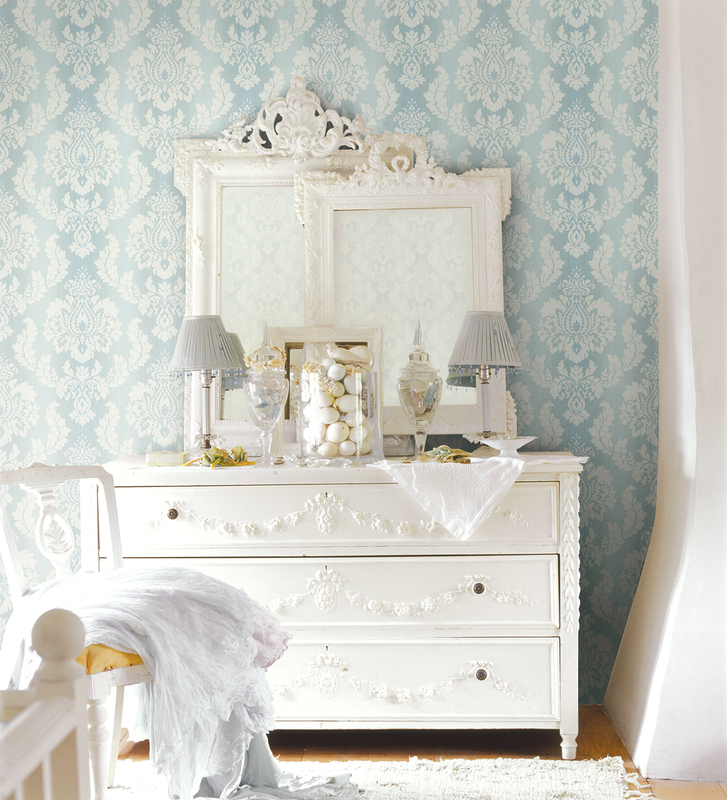 Still wondering how you can bring Hampton Style to your home? Leave all your questions and comments below!